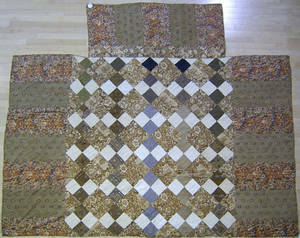 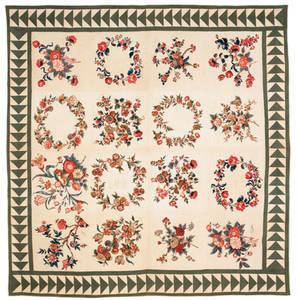 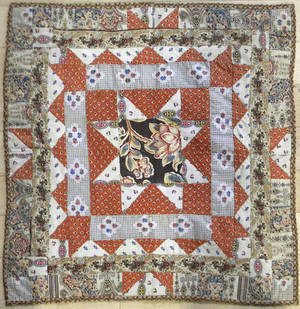 Chintz patchwork quilt with portraits of William Henry Harrison on the glazed chintz. 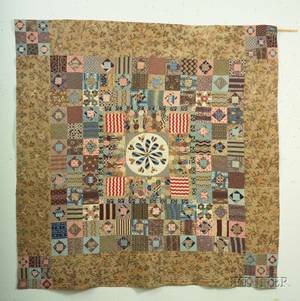 This chintz was purported to be made for his campaign. 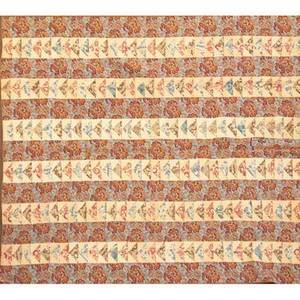 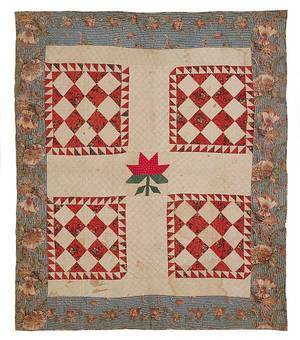 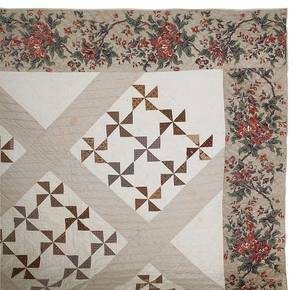 Early patchwork quilt; sawtooth variation with chintz fabrics, first half of the 19th c.; 95"" x 84""
Baltimore broderie perse chintz album quilt, mid 19th c.
Patchwork doll quilt, 19th c.